Fresno State outside linebacker Ejiro Ederaine (31) forces UNLV quarterback Caleb Herring (8) into a quick throw in the Bulldogs’ 38-14 win over the Rebels Saturday at Bulldog Stadium. Fresno State outside linebacker Ejiro Ederaine (31) forces UNLV quarterback Caleb Herring (8) into a quick throw in the Bulldogs’ 38-14 win over the Rebels Saturday at Bulldog Stadium. 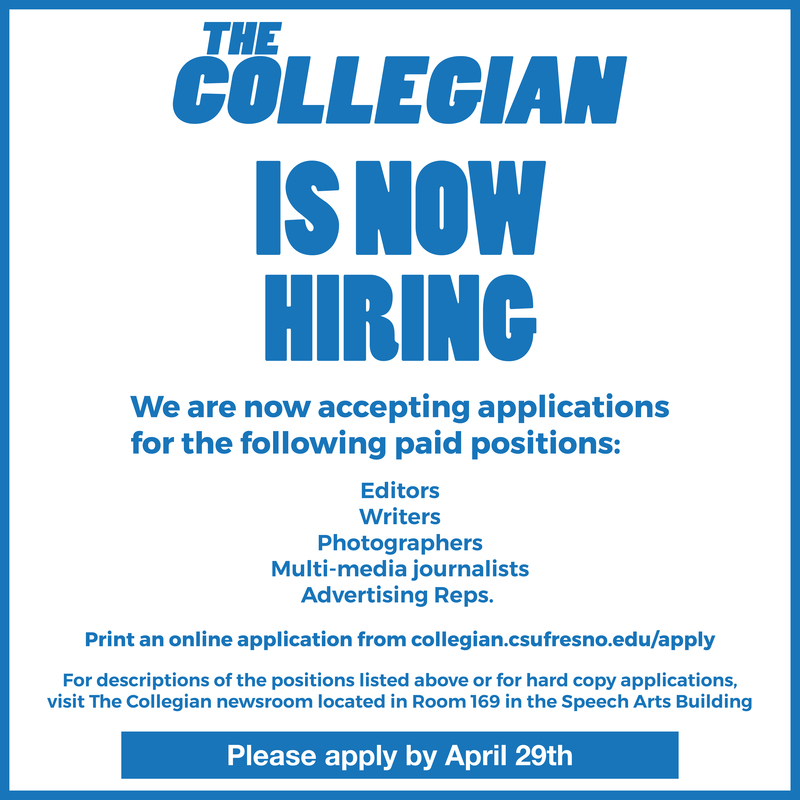 Roe Borunda/The Collegian. In the beginning of the season, they called his number when the situation arose. 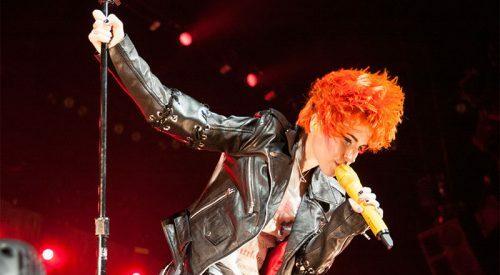 If No. 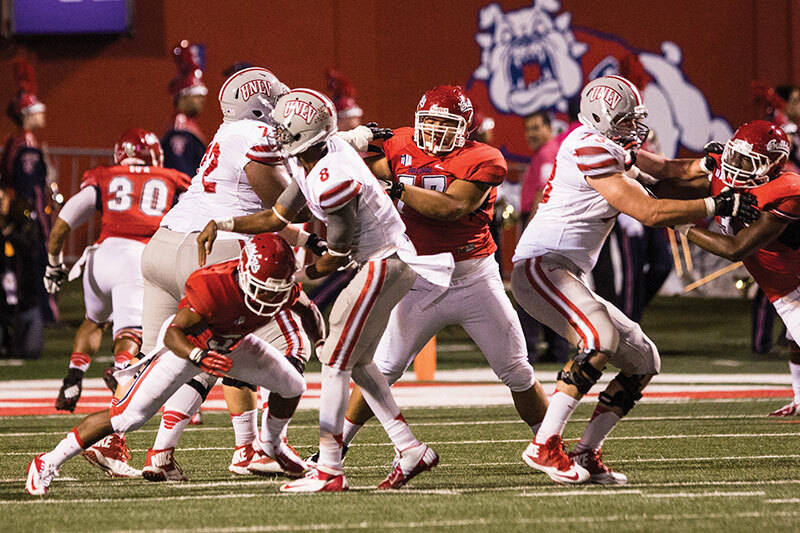 15 Fresno State’s defense needed to pressure the quarterback, in came sophomore Ejiro Ederaine at outside linebacker. His role has grown beyond going in the game for situational plays. Ederaine, who leads the Bulldogs with five sacks, has started the last three games at outside linebacker. After spending the offseason fighting with Nat Harrison for that outside spot – which heated up as Ederaine showed more and more of his pass rush skills – he earned the starting nod against Hawaii on the road. 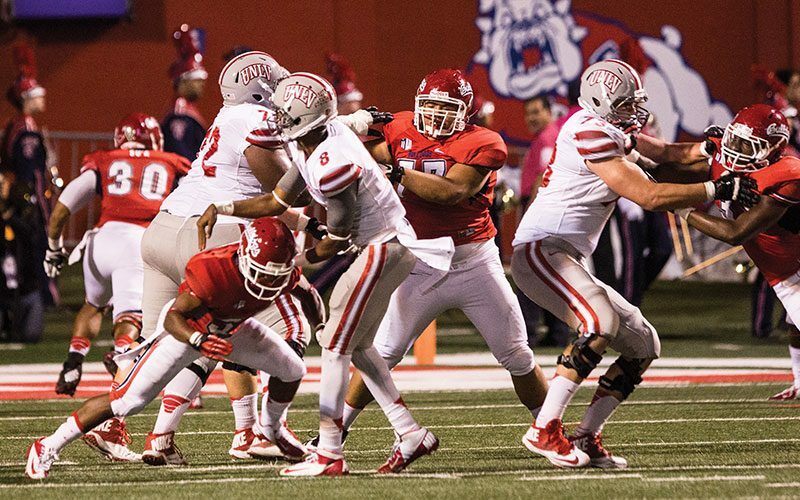 Fresno State leads the Mountain West Conference with 22 sacks. 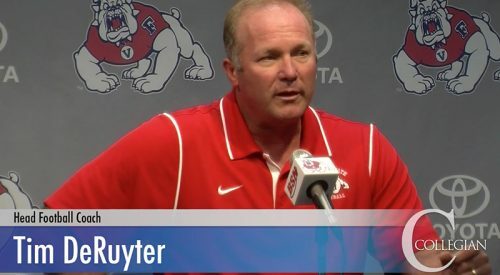 “It really comes down to production,” Fresno State coach Tim DeRuyter said. “He was coming off the bench. We were splitting reps and he was being more productive. We talk to our guys all the time you earn your reps, so make your reps count. 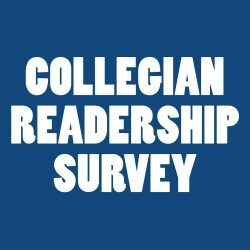 Ederaine’s sack against UNLV in the Bulldogs’ 38-14 win Saturday came in the first quarter – the play after Charles Washington blitzed Rebels quarterback Caleb Herring from the secondary to force a six-yard loss. Defensive end Andy Jennings took on a double team from the right tackle and guard, leaving room for Ederaine to intrude. UNLV center Robert Waterman caught the blitz, but it was too late. At that point, Ederaine had the leverage. In a game in which Fresno State snapped an 18-game streak of forcing at least one turnover, the Bulldogs’ pass rush was key. There were no forced fumbles and no interceptions against the Rebels. But there were forced throws and several punts for the UNLV offense. Ederaine and the defensive front kept the pressure on Herring, who completed 27 of 42 passes with none of his throws going for more than 17 yards. Wide receivers didn’t have enough time to complete deep routes and Herring did not have enough time in the pocket to throw it to them. A solid pass rush “helps the whole defense because it helps the secondary toward actually limiting their [an opponent’s] playbook,” Ederaine said. Ederaine has focused on crafting other aspects of his game – such as dropping into coverage as opposed to attacking the frontlines – to become more than a pass rush specialist.